RC Crawlers. Lights. Mounts. More. Please note: Two Guys Trail Gear LED's ARE INTENDED FOR OFF-ROAD AND CLOSED COURSE USE ONLY. They're not intended to replace any OEM product or to be used on public roads or highways. If you decide to ignore our warning, we'll call your mother. Ready to run out of the box, this RC crawler is great for all ages. Complete with front & rear four-link suspension, 2.4 Ghz Radio Control, Battery & Charger. Although this crawler is 'entry level', all suspension and steering links are aluminum, complete with functional oiled filled aluminum capped shocks. Giving this 'stock' rig a head start right out of the gate. 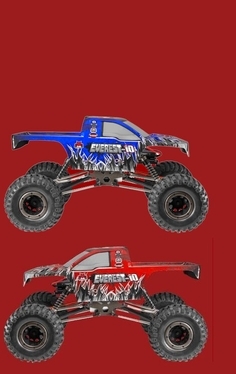 The Red Cat Everest 10 with TG2 upgrades! 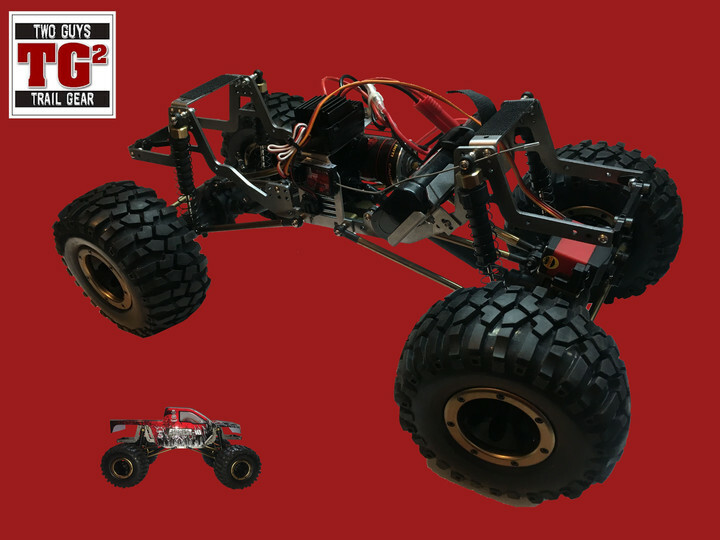 This ready to run out of the box crawler is complete with front & rear four-link suspension, 2.4 Ghz Radio Control, Battery, Charger, & TG2 Upgrades. The Red Cat Everest 10 + TG2 upgrades takes this 'entry level' rig to the next level. Why do you need this upgrade? - TG2 relocates your battery position to ensure a lower center of gravity for better stability while crawling on the rocks, and also eliminating torque twist. - The increased weight from the TG2 upgraded steel chassis adds 0.397kg of weight to the crawler to improve the tire grip, making it easier to crawl up tough terrain. - The Electronics Tower allows for convenient relocation and mounting of your electronics and any doo-dads. - The Front and Rear Aluminum Bumper Mounts allow for universal addition of winches, bumpers and TG2 light bars. 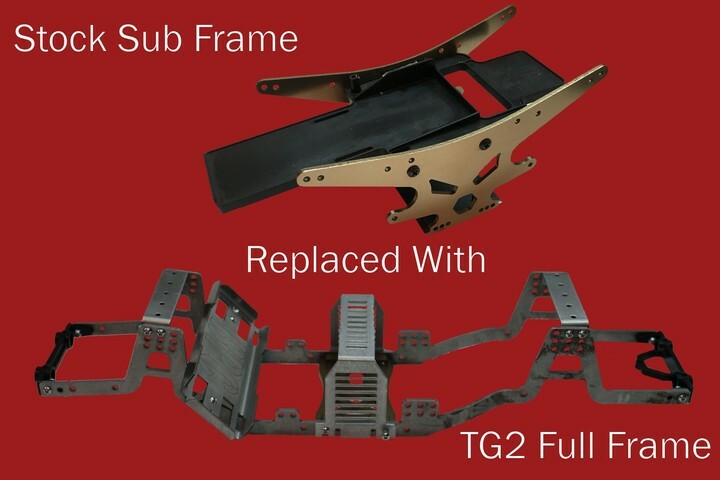 Use the TG2 upgrade kit to take your stock Red Cat to the next level! 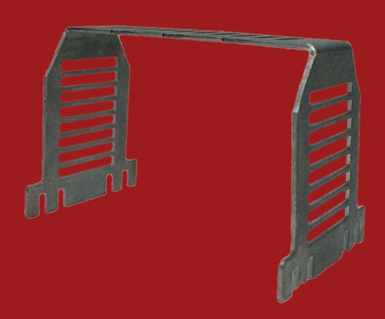 - Stiffens your front end for more support and less damage. Manufactured by BPC, this specialty made Red Cat Gen 6 TG2 Chassis comes complete with its own motor mount and 2 cross members. Upgrade your crawler today to an elite level! 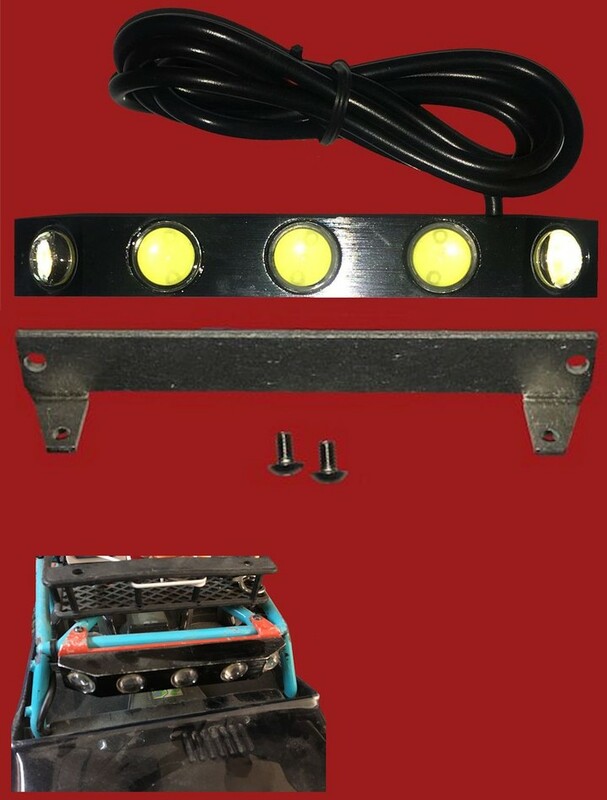 Are you looking to add a winch, bumper, TG2 light bar and more? Use these bumper mounts to add anything extra and to stiffen your front & rear end. When ordering, please specify front or rear. - The Front or Rear Aluminum Bumper Mounts allow for universal addition of winches, bumpers and TG2 light bars. Please specify front or rear bumper mount when ordering. Manufactured by BPC, this battery tray lets you relocate your battery wherever you desire. 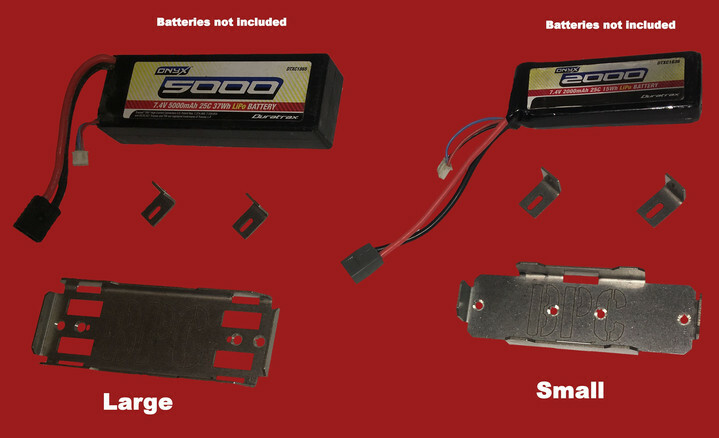 Please specify large or small battery tray when ordering. Manufactured by BPC, this Electronics Tower helps you designate a spot for all current and future electronics, such as TG2 light bars. This Sweet Baby is made up of five, 1-watt LED lights and provides lighting at 400 lumens. Comes with RC Mount. This is the brightest RC light bar on the market today. Two Guys Trail Gear guarantees all of our LED's for a lifetime of service but, if for any reason you're not completely satisfied with your product, give us a call. We'll happily accept returns, provide exchanges or replacements as long as the LED or accessory is still in good working order. Give it a shot. Give us a call.